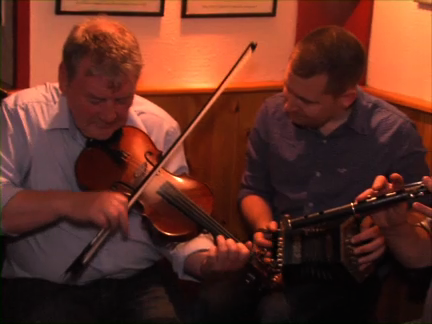 Recorded at a session in Quinns’ Pub in Dungannon during the Tyrone county Fleadh Cheoil 2018, a selection of Reels starting with “The Longford collector” played by a group of approx. a dozen musicians from several different counties. They are - Peter Grew, fiddle; Ciarán Hanna, Concertina; Michael Heron, fiddle; Adam Prunty, flute; Damien Walls, banjo; John Linden, whistle; Shane McTaggart, drum; Kevin Crilly, accordion; Tony Graham, drum; Séamus Robinson, banjo; Frankie Rafferty, guitar, and Fergal French, pipes.